4 Camden Beach London, U.K.
7 North Avenue Beach Chicago, U.S.
9 Spruce Street Harbor Park Philadelphia, U.S.
11 Rockaway Beach New York City, U.S.
Max out your weekend by hitting up an urban beach and combine sunshine, sand and skyline views. 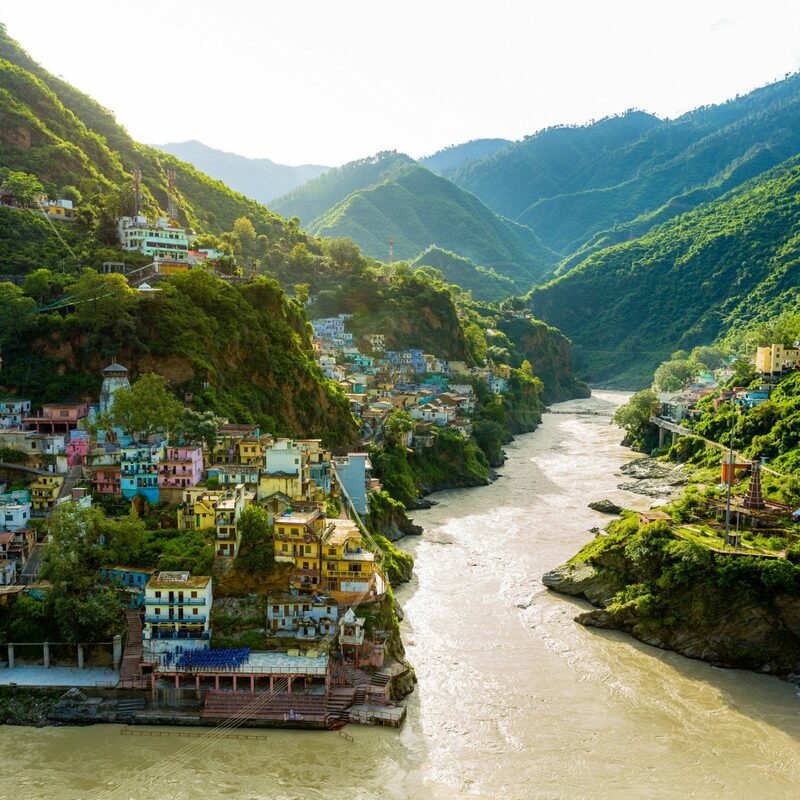 Rachel Beard seeks out the best of the bunch, from a hammock-strung stretch of sand in Philly to a floating swimming pool in Berlin. 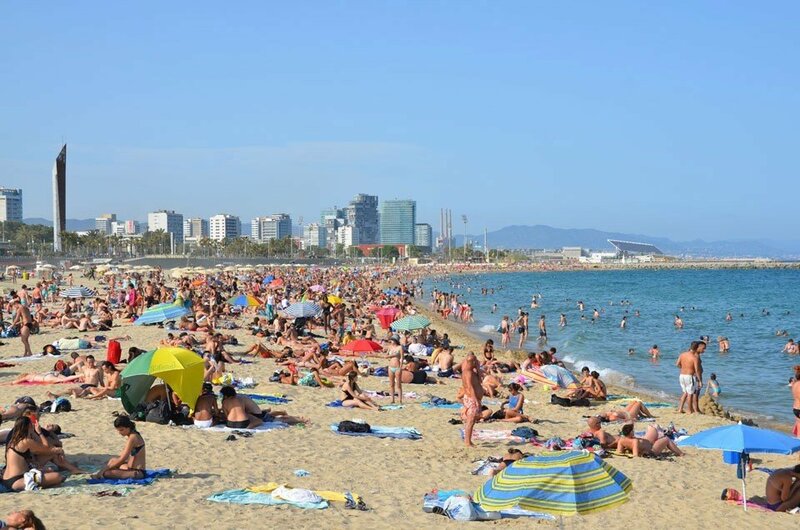 As far as urban beaches go, Barceloneta is no spring chicken – in fact, it pretty much invented the trend, dating way back to the 18th century when fishermen constructed the first houses along the neighborhood’s active port. 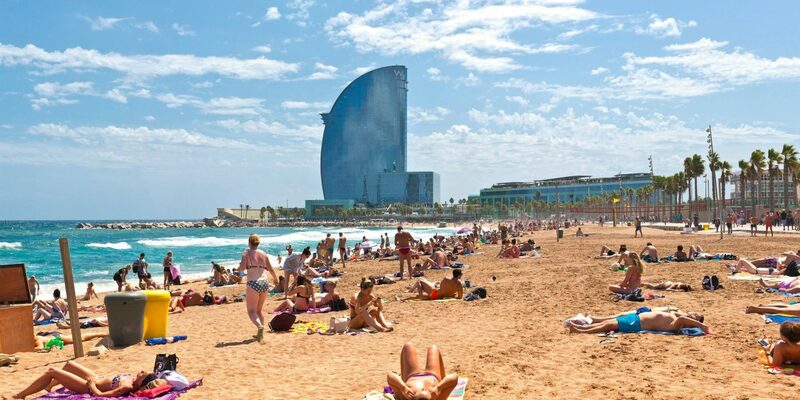 Today, take a stroll along the palm-tree lined promenade and you’ll find hole-in-the-wall bars and cafes serving authentic tapas into the early hours and make-shift beach volleyball courts sucking up prime real estate on the mile-long stretch. You’ll also catch a glimpse of German artist Rebecca Horn’s famous “Homenatge a la Barceloneta” standing tall above the beachcombers. 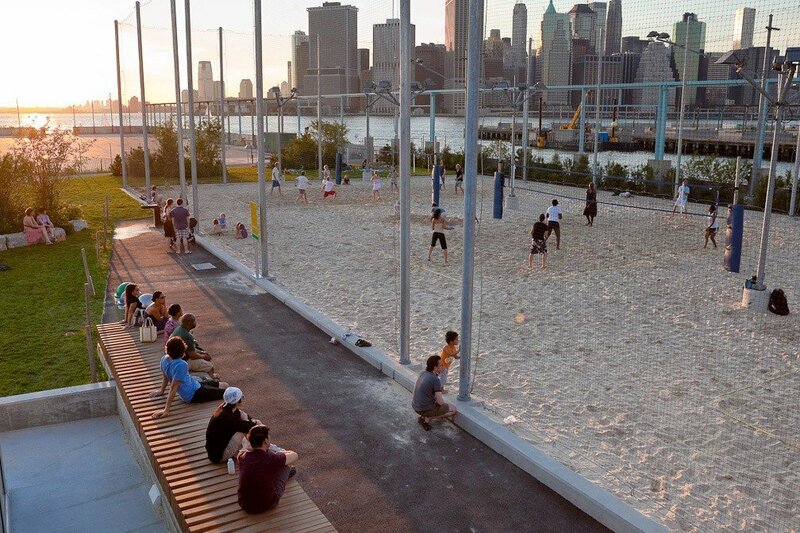 New York has a real knack for abandoned railroad equipment DIYs – first we had the High Line, and now – Pier 4 Beach, which is perched atop the remnants of a railroad float transfer bridge. While you can’t technically swim at Pier 4, you can dip your toes in the water, trudge through the sand to throw down a towel for some time in the sun or admire the man-made tidal pools that attract marine life along the shore. Post-tanning sesh, explore the five other piers that complete the promenade – you can borrow a book from the carts on the Granite Terrace (Pier 3), catch a flick on the Harbor View Lawn (Pier 1), or grab a cone at Ample Hills Creamery (Pier 5). Ok, it's a river rather than the riviera but every July and August the banks of the Seine are covered in sand and dotted with palm trees to offer a little taste of the Côte d'Azur in the cultural capital. 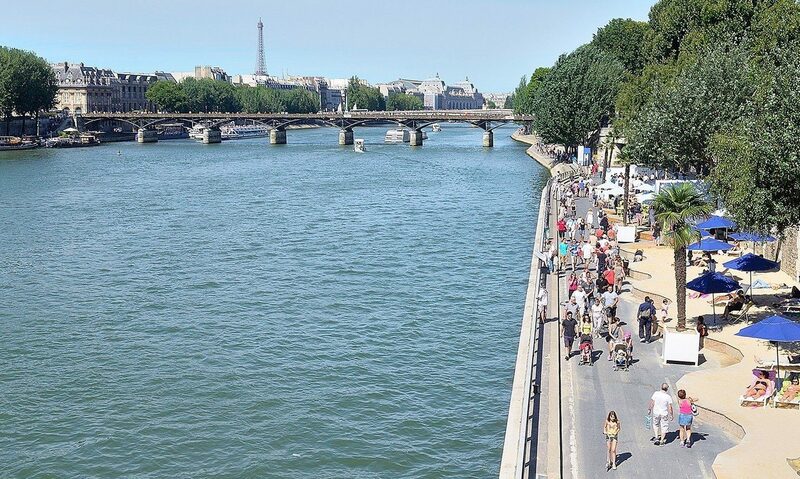 Sink into a sun lounger at one of three riverside spots (the Louvre to Pont Sully, Port de la Gare, Bassin de la Villette) and join in with typically Parisian pursuits (picnicking and petanque) or get active with a spot of beach volleyball or kayaking. 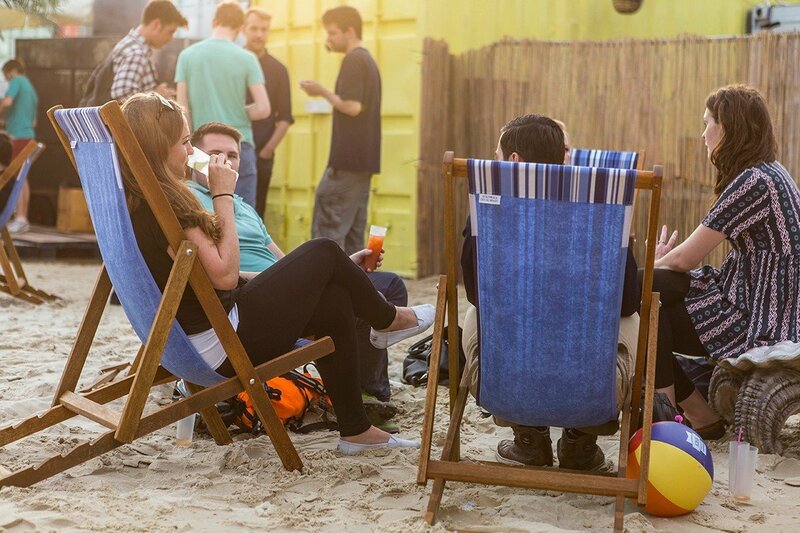 On a terrace next to the Roundhouse, one of London's finest gig venues, Camden Beach brings a little stretch of sand to the Big Smoke—150 tons of the stuff to be precise, interspersed with classic beach amenities including a tiki bar, rum shack and deckchairs. Expect killer tunes (the Roundhouse knows a thing or two about sound systems) and on the food front you can tuck into posh hot dogs and pulled pork from a converted shipping container. 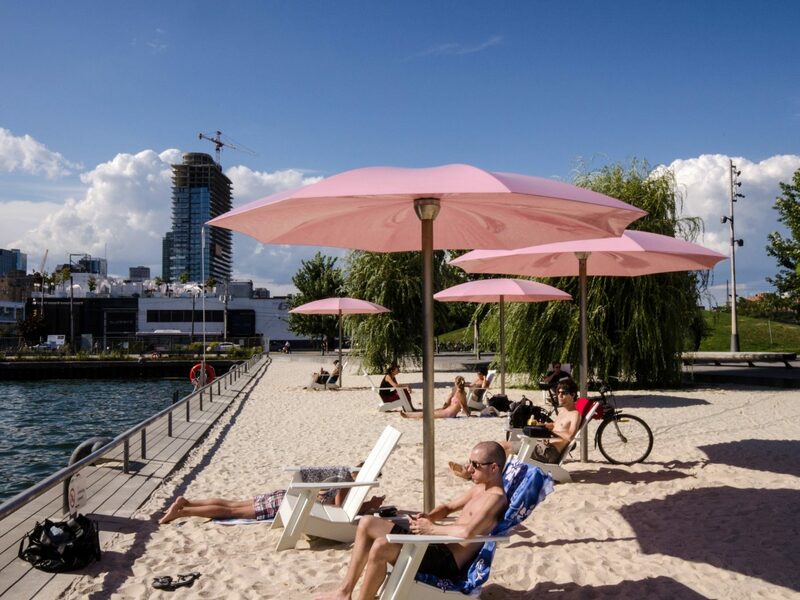 Named for the nearby sugar refinery and fittingly studded with candyfloss-pink umbrellas, this sandy spot enjoys a cool breeze from the shores of Lake Ontario. The patriotic patch features water fountains embedded with a giant granite maple leaf plus a (maple) tree-lined promenade and muskoka chairs. It's also the setting of Toronto's (free) Sail-In Cinema event where films are projected onto a two-sided screen from atop a barge in Toronto harbor. 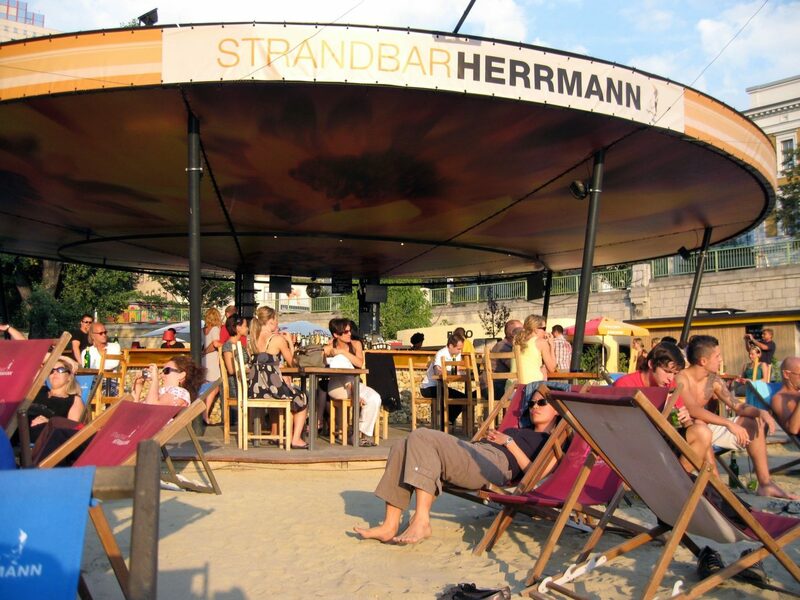 Dig your toes into the sand on the banks of the Danube canal at Strandbar Hermann. Austria may be landlocked but at this fun summer spot you can make like a beach bum on the waterfront without sacrificing Vienna's fairy tale skyline views. Retro deckchairs dot the space and there's a carousel-style terrace for sundowners and schnitzel. 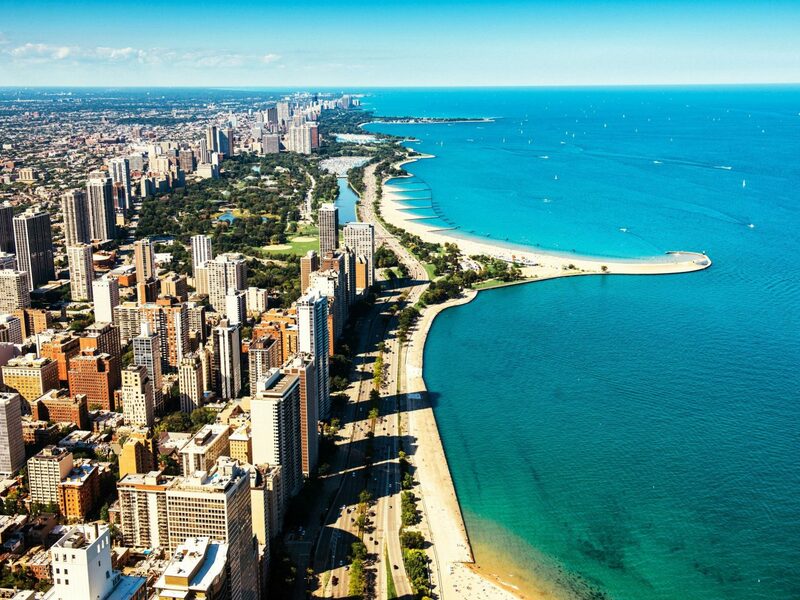 North Avenue Beach Chicago, U.S.
A bevy of beautiful beaches line the shores of Lake Michigan but our pick is North Avenue for its Cape Cod-style sand spit and ocean liner-inspired beach house. 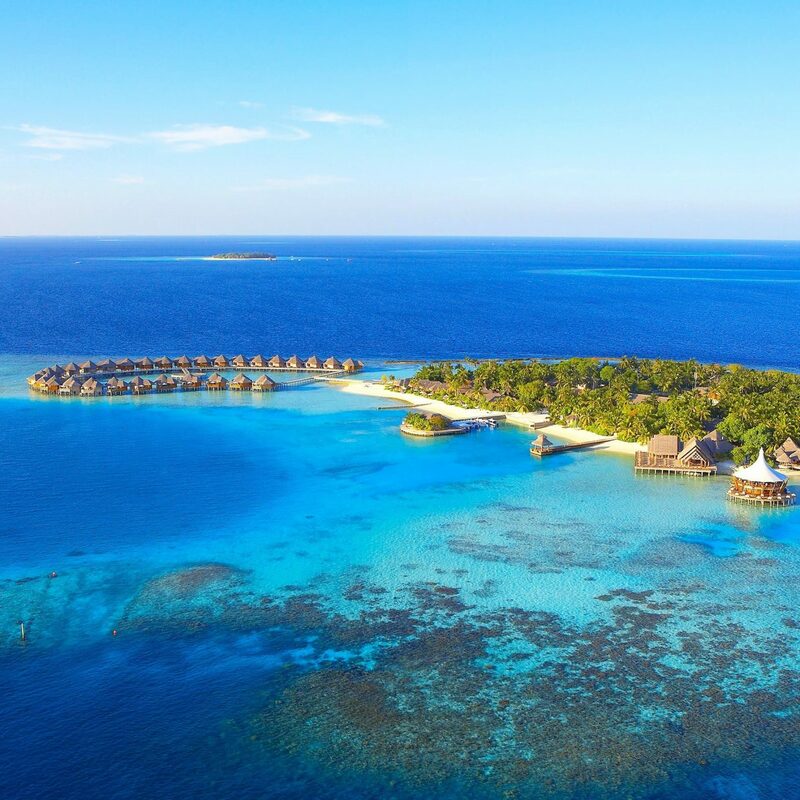 Start the day with a sunrise yoga session on the sand, take a dip in the freshwater lake, hit the volleyball courts and refuel with a beachside burger from Castaways Bar & Grill. For city slickers, free WiFi is available throughout the beach. Palm trees and straw huts hug the cobblestone banks of the Brussels canal in the summer months offering a very Belgian take on a beach break. 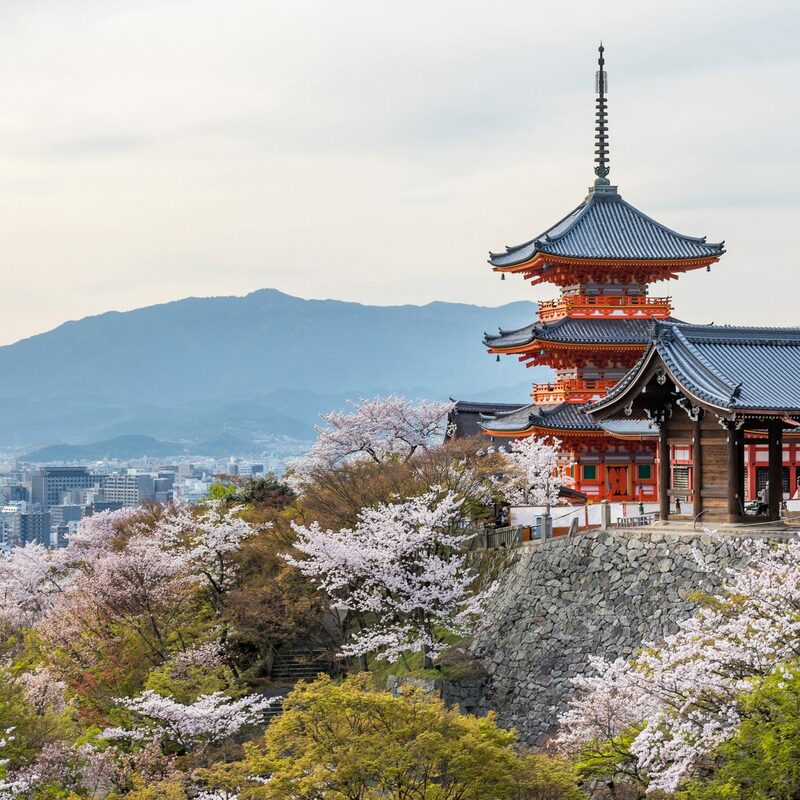 Play petanque, grab a Belgian brew from a floating bar or soak up some culture with big-screen opera screenings and an impressive array of street art. Spruce Street Harbor Park Philadelphia, U.S.
Fronting the Delaware River, Spruce Street Harbor Park is a summer-festival-meets-urban-beach-mash-up that brings together pop-up restaurants, a sand pit strung with hammocks and a small beach with loungers and cozy fire pits. The highlight is a traditional wooden boardwalk lined with street food stalls and arcade games in old shipping containers. 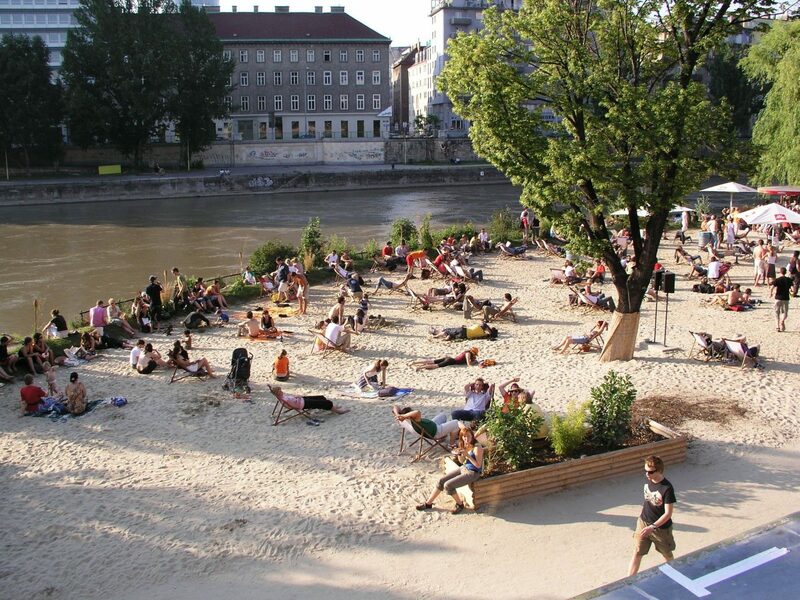 The German capital has perfected the art of urban beach planning. 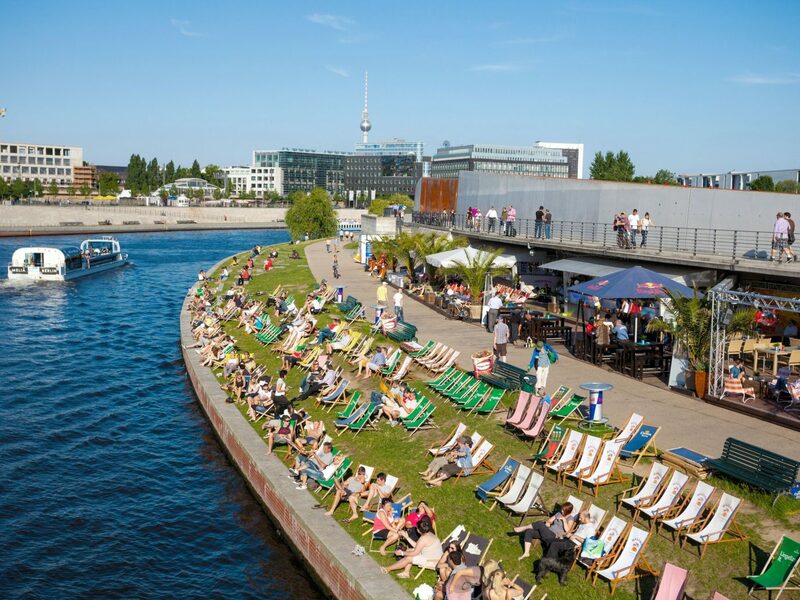 Come summer, Berliners flock to the banks of the Spree for barefoot bathing and boozing at around 30 different spots. Rummelsburg offers sun loungers and BBQ facilities and plays host to open-air beach parties; Ku'damm is where the bronzed and the beautiful sip champagne cocktails from chunky waterfront decks and Badeschiff is a floating swimming pool on the river converted from the hull of the ship. 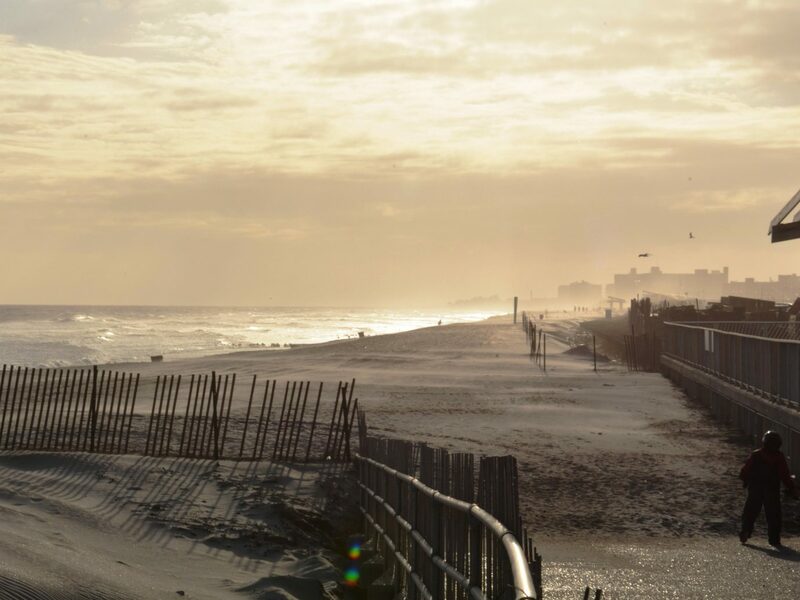 Rockaway Beach New York City, U.S. 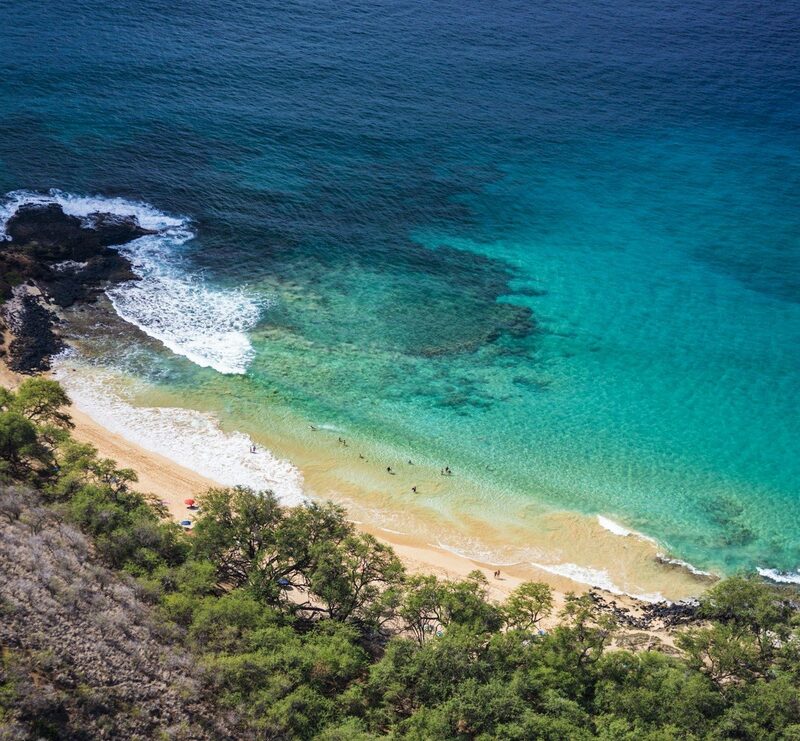 In the summer, city slickers-turned-surfer-dudes dash to this popular seashore, just an hour from Manhattan. A recent rebuild after Hurricane Sandy has added a handful of new eateries along the boardwalk, from Mexican bites at Tacoway Beach and caffeine hits at Rockaway Roasters to juicy sliders at Beach Slickers and Peruvian grub at Chicks to Go. Seasonal popup The Summer Shift features a host of NYC’s best chefs dishing up Latin American fare. And, a beach trip wouldn’t be complete without some (ahem) refreshments, so don’t miss the alcoholic ice pops at Citysticks.